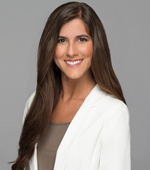 Kalli Abernathy joins Bennet Group with a background in public relations, corporate communications and experiential marketing. She previously worked at Legacy Marketing Partners, where she managed regional special events, corporate sponsorships and branding for one of the most recognizable spirits brands in the world. Prior to that, she assisted with business development, media relations and B2B marketing at BHATE Geosciences Corporation. Abernathy holds a bachelor of arts in communication and information sciences from the University of Alabama. In college, she served as a communications intern for Dinner With Strangers and as a social media assistant for Homegrown Alabama. In her free time, Kalli enjoys reading, traveling and exploring Hawaii.